It’s no secret that James Gunn loves the classic Marvel Comics villains the Skrulls. The Guardians Of The Galaxy director even said he almost used him in one of the movies. Now that the green, shapeshifting aliens are set to debut in the Marvel Cinematic Universe in 2019’s Captain Marvel, Gunn expressed his excitement to finally see the Skrulls on the big screen. The Skrulls were first revealed to be involved in Captain Marvel when Marvel Studios president Kevin Feige revealed new concept art for the movie during the Hall H presentation at San Diego Comic-Con. Feige also revealed the movie would be set in the ‘90s, and that a two-eyed Nick Fury would also be involved. Fans wondered about the status of the Skrulls given Fox’s ownership of the Fantastic Four movie rights, but Gunn himself revealed that the Skrulls were a property both companies had access to given their prominence in Avengers comics as well. It looks like the march to the Kree-Skrull war is on and Gunn can be counted among the many excited Marvel fans. Hopefully we learn more as Captain Marvel gears up to start shooting next year. 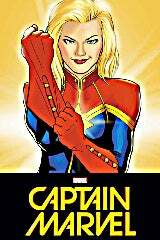 Captain Marvel is scheduled to hit theaters March 8, 2019. Brie Larson will headline Captain Marvel in 2019, with Samuel L. Jackson co-starring. Marvel recently brought on directors Anna Boden and Ryan Fleck, responsible for Half Nelson and Mississippi Grind.